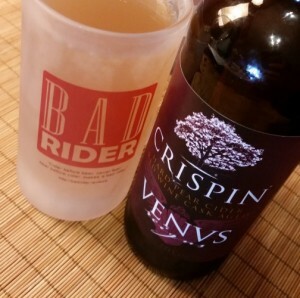 This entry was posted in Cider and tagged 650mL, crispin cider, limited release, pear ciders, venus reigns. Bookmark the permalink. I really liked this as well. I was quite hesitant to buy it as I don’t like red wine, but oddly enough I didn’t even pick up any wine notes in it (although my husband, a red wine drinker, did). The barrel aged taste of the pear was awesome. I just can’t get enough of these Crispin varieties. I’d be drinking this and the Lion Belge all the time if I didn’t have to review other things.